(Scusami, Paolo, ma ci tenevo proprio a rispondere a ‘sto qua!!!) No problem: here it is, courteously offered by Google Translator!!! In case you’d wish for a proper one, no worries: I charge 20 Euro per A4 sheet!!! Italian writer Roberto Solina receives a rather unusual help request; It is the invitation of Polish prelate Monsignor Badenski who asks him to write a defensive memory that will allow him to explain his activities and his thoughts to the ecclesiastical authorities who are judging him. Monsignor Badenski is a guest of a true religious institute with hard discipline by Sister Geraldine, taken on one side with other guests of the institute (all to be taken with the springs), on the other with hard budget requirements and obedience to its superiors . So Solina knows the various guests, all very different from each other but united by the need for religious authorities to keep them separate from the civil community. We know about Marcos, an elderly prelate confined to the institute for marrying the cause of Cuban patriots and Fidel Castro, communist and atheist leader; Professor Villa considered a heretic for his orthodox ideas, Ottavio Ranieri of Aragon noble and prince set aside and hidden from social life for having fallen in love with his sister, Emilia Contreras (who runs the institute) accused of killing her Husband of a guerrilla fighter in his country he had fallen in love with. And again, Monsignor Badenski himself, accused of having collaborated with the Nazi party. 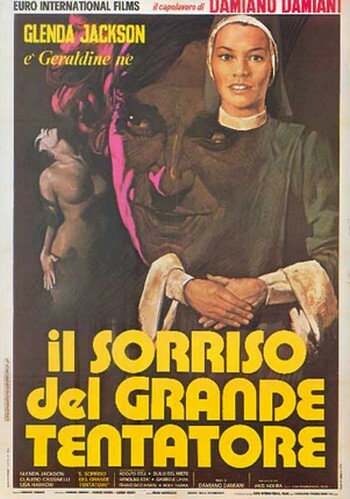 The group finds itself under the spiritual guidance of stubborn Sister Geraldine, who treats them as sinners to be remarried using the most rigid instruments of religion, such as fasting and mortification of the body, in addition to a kind of group therapy in which he is helped by Another prelate, Monsignor Morelli. The universe of the locked up, as we might define them, since they are not arbiters of their lives despite Sister Geraldine is sorry to declare their absolute freedom to the writer Solina, thus lives a monotonous existence marked by the rules of the institute itself. 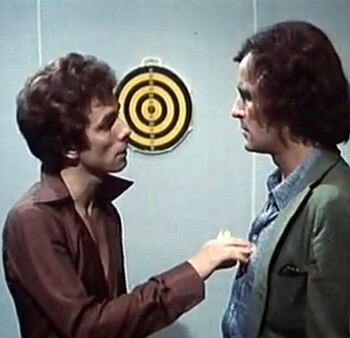 But guests live together with their guilty feelings, which are present in them more or less obvious: Solina’s presence alters the precarious balance of the same, because man has a highly developed critical conscience, a layman who looks with Cold objectivity to the situation of the heterogeneous group with which he came into contact. The contradictions of the various personalities explode in a different way; Prince Ottavio, consumed by the sense of sin that does not belong to him, because he feels true love for his sister, the earthly and carnal love, romantic and passionate but condemned by the laws of morality, eventually chooses to solve his problems with the ” The only escape route that remains, suicide. Little at a time, the various “retirees” choose to move away from that place, almost being able to become aware of their state. It goes via Marcos, the man who really believed in the barbudos revolution and also goes Badenski, who is in fact not guilty but has always tried to save lives. Emilia is morbidly bound to Solina, but ultimately abandons her. And when Solina returns to the institute to ask the woman for explanations, she has the bitter surprise of finding all the old guests back to the fold. The institute is for them now the only house remaining and out of it they feel lost. Civil society seems to be alien to them and without the church’s protective wings, its rules, Sister Geraldine no longer know how to live, as if they were caged birds locked for so long that they no longer knew how to fly outside. The moral and psychological conditioning of ecclesial rules has thus also won on the sense of freedom, on the free will of each one of them. So Roberto Solina understands that her attempts to awaken a minimum of individual conscience in them is perfectly useless and after obviously refusing to join the group, leaves that anguished place and just outdoors she goes to a fountain for a long drink Almost to symbolize the need for cleansing that he took over. The great attempt by Damiano Damiani dated 1973 is a brave but imperfect attempt to denounce the mortal embrace of the church and its moral toward those who try to try to live and reason with their own head. Brave because he denounces with force through dialogues and images of the poor clerics of the institute using a well-metered and calibrated expressive language, imperfect because it is realized by the introduction of too many characters ending to weigh everything and make them less concrete and more indistinct . The various psychologies are, of course, the subject of superficiality, being the various protagonists bearing painful and deserving stories of greater depth. But if this is a limit, it does not surprise the end result, which is robust and interesting, of great vigor and well-calibrated. Damiano Damiani, one of the most brave and committed filmmakers of Italian cinema, faces after the hot topic of the Mafia (The Owl’s Day, Confession of a Police Commissioner at the Procurator of the Republic), that of imperfect justice (The Investigation is Closed: Forgetfulness), that of hypocritical and perbenist Fascist justice that condemns the innocent Girolimoni just because the regime can not be fallacious, I would address an uncomfortable theme like that of freedom of conscience in the face of the strict laws of religious doctrine. It does so by means of a non-vivid language, which leaves the mark even in the above-mentioned limits. 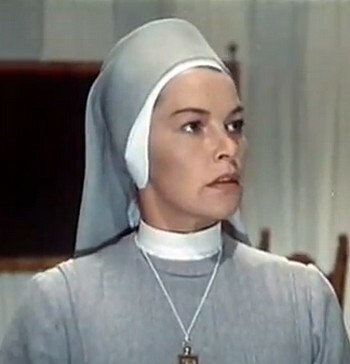 He does it with a robust and well-drafted film in which he shows a surprising Claudio Cassinelli, who is the lay and illuministic writer Roberto Solina’s counterpart to the ruthless logic, all of Sr. Geraldine, beautifully interpreted by Glenda Jackson. 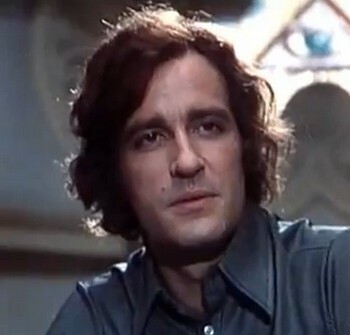 Damiani also has to thank the actors who are the protagonists of the film, such as the excellent Gabriele Lavia, who plays beautifully the painful and dramatic figure of Prince Ottavio Ranieri of Aragon who will consciously choose to end his life consumed by the guilty feelings of guilt, Love felt against her sister Alessandra, the good Sara Sperati. 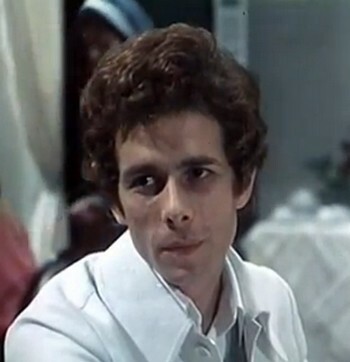 Still, to quote the excellent performances of Arnoldo Foa (the sore Monsignor Badensky), Adolfo Celi aide in the role of Sister Geraldine father Borelli, and finally the gentle presence of Ely Galleani in the role of Robert’s girlfriend. Quotation and mention for Lisa Harrow, the sorrowful Emilia Contreras, woman unable to escape her past and most of all seems to need the mortal embrace of Santa Madre Chiesa. The big tentator’s smile is a movie that is invisible on television circuits so if you can find copy on the web you will enjoy the vision of a film that will surely not disappoint you. Lastly, I recall the embarrassing review of the ineffable Morandini: the judgment I carry tells him about the way the movie encyclopaedia alas is widespread sees (in part and worrying) many works worthy of much more importance by its reviewers . To you the sentence, as right as it is.